When utilizing our mailing services, you may wish to mail to a mailing list you provide, a list that we have on file for you, or a list that you'd like us to create for you. Have a list? E-Mail Us your list. The ordering process varies a little depending on the nature of the mailing list. Below is a brief summary of how things will work. If you plan to supply the list to us, the process is super easy. During the order process, you will have an opportunity to upload the file(s). If you want us to mail to a list we already have on file for you, you simply type that information into the "mailing list information" box. Please be as descriptive as possible so we are certain to mail to the correct list. If we have any doubts or questions, we will contact you. 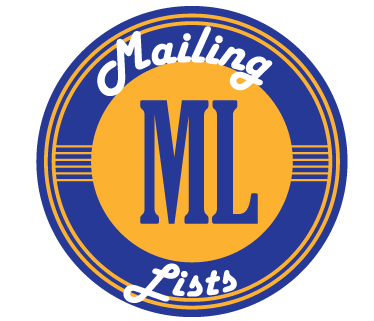 If you need us to create a mailing list for you, we'd ask that you email us and let us know the kind of list you want to obtain and we will get back to you within 24 hours with a count and cost. We suggest you do this before you proceed with your order. Otherwise, you will not know the quantity that you need to order. What Kind of Mailing List Can I Order? We can put together just about any list you can imagine. Let your imagination run wild! Neighborhood Lists (just provide us the name of the neighborhood and we will pull all the homes in the neighborhood). Street Boundaries List (just provide the street boundaries and we will pull all the homes within those boundaries). Radius Search (just provide the subject property address and let us know how many homes around that address you want us to include). Zip Code/County/City Searches. (just let us know what area you want to mail to and if there are certain criteria you wish to incorporate). Reach people that have Incomes over a certain amount. Families with kids in the home. Reach people in specific professions i.e. Doctors, Lawyers, and much more. Reach people that have specific interests i.e. Nature, Sports Cars, Horses, and much more. Apartment tenants. We can reach apartment tenants all across the nation.